This description of Istvan Aba-Horvath's work was prepared when Istvan Aba-Horvath was elected to the Ashoka Fellowship in 2000. Roma children typically care for large families, a role that necessitates earning money from an early age. To accommodate this need, Istvan has designed a program that allows Gypsy youth to work and attend school simultaneously. Accredited by the state, Istvan's program enables Roma students to receive full-time salaries for half-time work, with the other half of their time spent completing their studies. Additionally, his program allows Gypsy students to finish primary school in less than a year, completing four grades in a compressed period of time. To motivate teachers, many of whom are reluctant to work with Roma children, Istvan has convinced state and local governments to increase the salaries of participating teachers. For Roma students, completing primary school is an especially important first step to finding jobs. Later, they need additional training and opportunities. Istvan is working with employment organizers, job centers, and local governments to secure jobs for graduates of his program. He is facilitating increased dialogue among Gypsy and non-Gypsy communities, and is raising the profile of Roma through community forums and media. An estimated one million Gypsies live in Hungary, comprising almost 10 percent of the population. But their numbers are rapidly increasing: in September 2000, one in every three first-grade students will be Roma. Gypsies have long been targets for discrimination, and few government and non-government programs have successfully integrated them into mainstream Hungarian life. Education is an area of clear discrimination and clear need. Owing to cultural differences, normal Gypsy children are directed to special classes or schools to study alongside disabled children. Most -- as many as 55 percent in some communities -- drop out of school at an early age, a reality that greatly restricts their employment later in life. According to Hungarian Labor Law, participation in job training requires one to complete the eighth grade. This means that more than half of the Gypsy population cannot access most jobs. In most communities, Roma lack skilled representation and leadership. While the Hungarian Minority Law enables Roma leaders to become representatives in local minority governments, most Gypsy leaders are uneducated and have only limited knowledge of democracy. In 1996, Istvan and eleven other Gypsy representatives participated in a training course sponsored by the European Union's Roma Program. Istvan emerged determined to strengthen leadership in Gypsy communities and develop educational reform and employment strategies for Gypsies. He convinced his classmates to unite forces; under his leadership, they established the Professional Association of Gypsy Leaders. The organization sought to train Roma representatives and other community leaders, to create and improve educational and professional resources, to secure legal representation for Gypsies, and to raise awareness of Roma life and culture. During the past four years, the association has involved more than one hundred twenty Roma from four countries. To strengthen Roma citizen groups and minority governments, it provides structured leadership and training in communication, application writing, mediation, accounting, strategic planning, and legal defense. Through two forums, one open to all community leaders, and one for Gypsy leaders only, Istvan is creating a dialogue about Roma problems. Educators, employment placement professionals, government officials, and policemen meet as representatives from both forums quarterly to discuss community problems and develop solutions. These discussions resulted in a community-wide effort to close the education gap between Gypsy and non-Gypsy children. Istvan's one-year school program that enables Roma students to split their day between work and school was a product of the forum. Istvan sees this school-work program as a first step in addressing the larger problem of Roma unemployment. He works with employment centers to identify community needs and students' talents and interests, then provides matching skill training. Launched in 2000, the program currently operates in one village. By the end of summer, two additional villages will implement it. By 2001, ten villages in northeastern Hungary will adopt the program, bringing the total number of participating Roma to two hundred. Istvan estimates that 70 to 80 percent of participants will finish the program, which he will evaluate at the end of the year. He has already approached Roma organizations and job centers in seven other Hungarian counties. Istvan estimates that by 2003, his program will operate nationally. To meet the immediate employment needs of Roma, Istvan established the Employment Organization Network to identify and publicize jobs. 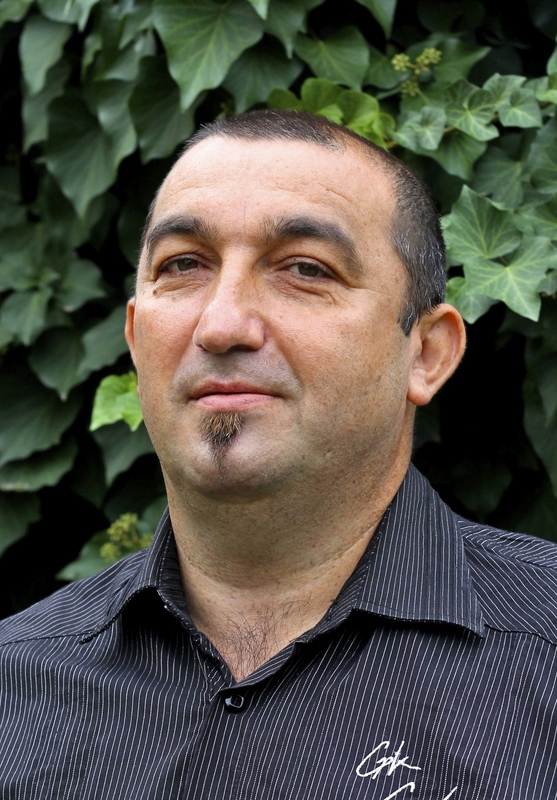 Istvan has connected sixteen villages and cities, with one Roma contact person at each location. These officers remain in constant contact with employers and with Roma seeking job placements. To assist in addressing discrimination of Gypsies he has established a legal counseling program. Staffed by volunteer professionals, including a sociologist and a lawyer, the service addresses the informational needs of five hundred clients a year. Istvan has been successful in harnessing attention from the media. In addition to writing articles about his programs, Istvan hosts an eighty-minute monthly television program that is carried by local and regional television channels. For the past two years, Istvan's group has published its own magazine called Rominfo, 1,000 copies of which are distributed to Hungarian minority governments, state institutions, donors, and other interested parties. Istvan comes from a very poor Gypsy family. Of eight children, he alone completed high school.